Topsfield, MA was originally settle in 1643 by English settlers. It also plays home to the Topsfield Fair. 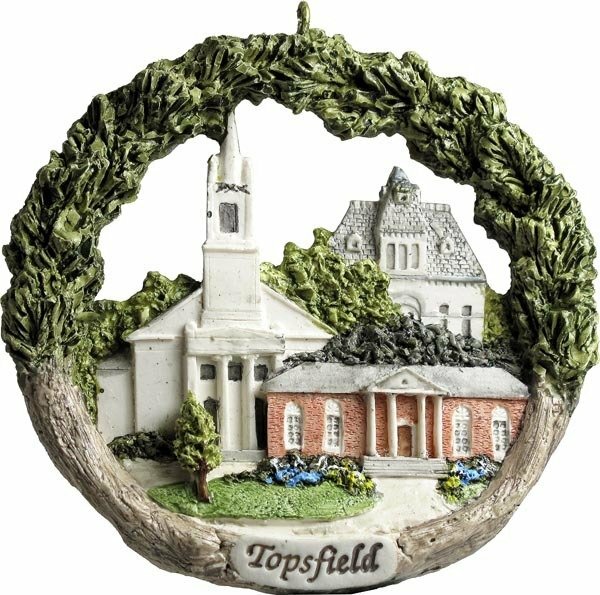 Our Topsfield Landmarks ornament features 3 historic buildings in the town, the town hall, the public library and the Congregational church. Each of our AmeriScape ornaments are individually hand-cast and hand-painted by our studio artisans.